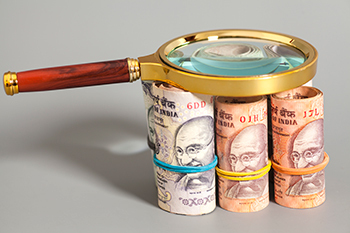 Masala bonds are rupee denominated borrowings issued by the Indian organization in the foreign or international market. These are debt instrument, which are generally issued by the corporate to overseas buyers for raising the funds. Even though the Masala bonds are issued in Indian currency, they are settled in foreign currency in the overseas markets. On 7 March 2015, the Reserve Bank of India (RBI), showed its intensions to liberalize bond markets, by allowing companies to sell rupee-denominated bonds in overseas markets. Such bonds allow the issuer to raise funds in the overseas market without taking on the currency risk typically associated with foreign-currency denominated bonds or loans. These masala bonds are listed on stock exchanges or placed privately. The term masala bonds were coined so as to give Indian essence to them. These are offshore bonds which are issued for 10 years in general with AAA rating. Masala Bonds will not only add the regional flavor to the international markets but it is also expected to bring up the rupee value in international markets. Issuers can take advantage of the lower interest rates in international markets, without being hampered by foreign currency risks.